Alaska Cake Studio held its grand opening February 5, 2010. Our boutique bakery offers decadent desserts, pastries, exquisite chocolates, as well as classes in baking and making chocolates. We combine the finest ingredients in the world to make the best cakes and desserts in Alaska while continually expanding our menus and creating thousands of infusions and flavors for all our products. We specialize in creating custom cakes, desserts, or pastries for any occasion; including weddings, birthdays, gender reveal parties, or for any celebration you may have. In addition we have a full espresso bar, hot teas, hot chocolate and even smoothies. Just ask, we surely can make it happen! 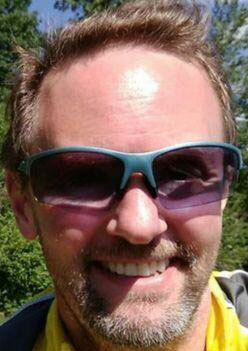 Will McDonald is the Owner of Alaska Cake Studio and Head Pastry Chef. Will is a graduate of Johnson & Wales University with a degree in Baking and Pastry Arts. Kirsten Roseberry Alaska Cake Studios Lead Pastry Chef and has graduated with a degree in Culinary Arts from the National Center for Hospitality Studies at Sullivan University in Louisville, KY.
Will McDonald is the Owner of Alaska Cake Studio and Head Pastry Chef. Will is a graduate of Johnson & Wales University with a degree in Baking and Pastry Arts. He has over 25 years of industry experience; some of which started with fine dining, banquets and bakery. Will has extensive experience with chocolate, candies, and preserves. He enjoys creating all of our decadent desserts and designing fantastic cakes that make memories for all. When Will is not at the bakery, one could possibly run into him and his family while hiking, biking or skiing the trails in Alaska. Will grew up in Homer Alaska and enjoyed having the ability to get outdoors to pick berries and then turning around and making those berries into something deliciously fresh, delightful and for sharing the finished creation with friends and family. 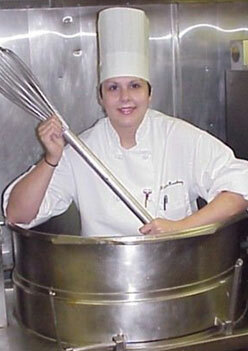 Kirsten Roseberry Alaska Cake Studios Lead Pastry Chef and has graduated with a degree in Culinary Arts from the National Center for Hospitality Studies at Sullivan University in Louisville, KY. She has been working in the hospitality business for over 25 years. She brings a range of experience that extends from high-volume banquet catering, casino, resort facilities to remote lodge and manufacturing venues. Kirsten came to Alaska in the summer of 2001 to work at a high-end fishing lodge and fell in love with this amazing state. She met Will McDonald when she went to work for him at Alaska Wildberry Products and followed him when he started his own business. They've been fast friends and a dynamic duo ever since. Kirsten loves the creativity and freedom that her varied career has given her over the years. She has an affinity for shoes, tattoos and fine bourbon. Kirsten has a bachelors degree in English and is currently working on her first novel. She enjoys outdoor hikes, walking the dogs and cooking for friends and family.